Montage group is one of the well-known professional management teams with more than 8 years of experience in event management business serving its clients; all over in the commercial as well as industrial sector. It is best known for its quality services which it is providing by its member companies to the clients over year. Montage is a diversified service-oriented organization based in Islamabad that organizes, caters, manages and attends number of events and tourism services (on-shore and off-shore). We envision to establish a productive new standard for our management and services of the events therefore, achieve recognition in every potential area by the public, both domestically and internationally. Montage is a diversified service oriented organization based in Islamabad that caters and attends to assortment of event planning, organizing of events and tourism management (on-shore and off-shore).We have a vision to create a dynamic new standard for management and services in the events and achieve the highest recognition by the public in every potential area, both domestically and internationally. We are a professional management team with more than 8 years experience of event management business. Kyokushin (極真?) is a style of stand up, Fuul contact karate, established in 1964 by Korean-Japanese Masutatsu Oyama (Ōyama Masutatsu?). Kyokushin is Japanese for “a definitive truth.” Kyokushin is established in a reasoning of personal growth, discipline and hard preparing. Its full contact style has had global intrigue (experts have throughout the last 40+ years numbered in excess of 12 million). It is demonstrating the importance of martial arts among the society for years. 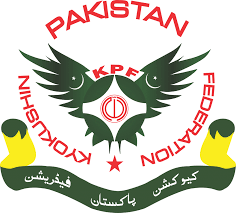 A federation operational in Pakistan since 2013, providing platform, to the martial arts community of Pakistan, to demonstrate their skills at division, district and national levels. Ask a Question/Connect with Us!